Hello to One and All!!! The Fair Board members and I want to thank you greatly for attending the Delta Fair. We hope you have a great time. A great big thank you to our volunteers, judges and everyone else who helps in any way to make our fair a success. We couldn’t do it without you. Have a wonderful time at the Fair!!! 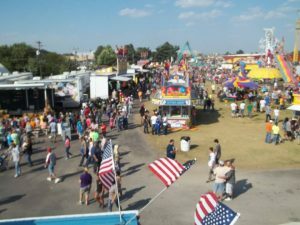 Northeast Arkansas to the largest fair in this area. Community Leaders of America (formerly Future Homemakers) shows and exhibits. Hobbies, Home Baking and Food Preservation shows and exhibits. rides on the midway for the enjoyment of all ages. Exhibitions and an Associate member of the Arkansas Fair Association.